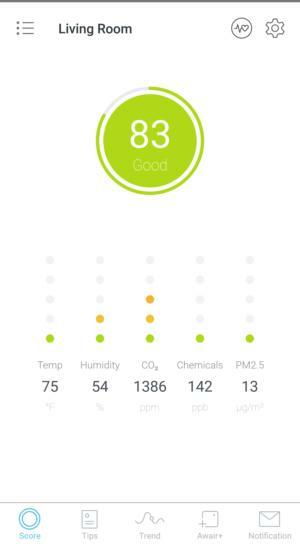 The original Awair was one of first smart air-quality monitors of note, offering an easy way to track various air-quality factors that can impact your health and comfort on your phone. This update isn’t a radical departure, adding the ability to track airborne particulate matter measuring less than 2.5 microns to its repertoire, plus some minor hardware modifications. According to the EPA, inhaling such small particles can lead to decreased lung function, and it can aggravate chronic medical conditions such as asthma and heart disease. As with the original, the Awair 2nd Edition tracks temperature, humidity, carbon dioxide (CO2), chemicals, and dust. Numerical levels for each of these can be displayed on the Awair, as well as a score (on a scale of 100) that takes each of those levels into account: the higher the score, the better the air quality. By default, the device displays your overall score along with dot graphs representing levels of the individual air factors. You can change this within the companion app to show any single metric, or cycle through each one using a new up-and-down button on the back of the Awair. 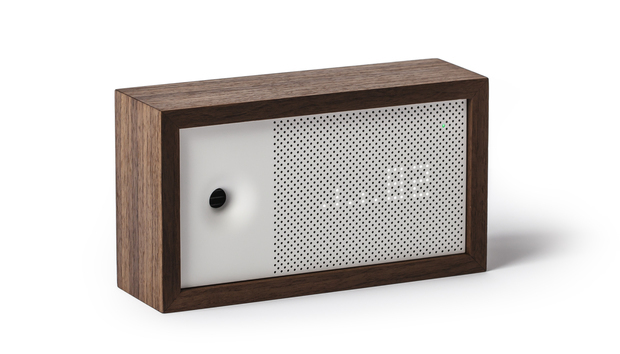 The Awair displays air-quality levels on its front display as well as in its companion app. The Awair 2nd Edition largely copies the design of the original, which resembles a miniaturized vintage loudspeaker. The wood enclosure—made from handcrafted high quality North American walnut timber, the company says—gives it a warm, homey feeling that’s a welcome change from the cold modernity of most smart-tech. The 6.3-by-2-by-3.5-inch unit is perfectly sized for a home on an nightstand, bookshelf, or kitchen counter. 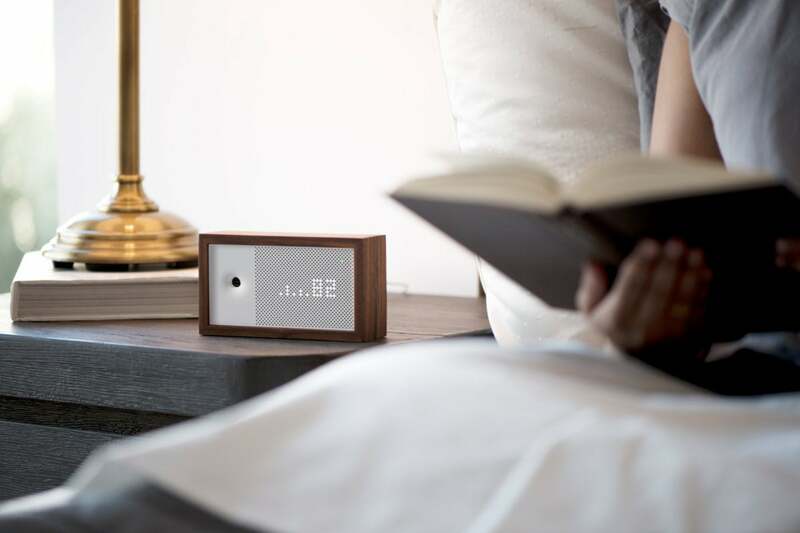 Wherever you place the Awair, be sure you have a clear line of sight, as it displays levels of the five air-quality metrics it monitors right on the device itself. It does this using a charmingly old-school method: a set of LEDs shining through a grid of holes in the device’s front panel to form the numbers, letters, and graphs that indicate these levels. Unlike a device with a more conventional display, such as the Airviz Speck, it can be tough to read at-a-glance. While the device display is good for getting quick updates on your air quality, the companion app allows you to dive much deeper. When you first launch the app and select the Awair from the device list, you’ll see your air quality score prominently displayed within a colored circle—green if the air quality is “good,” yellow if it’s “fair,” and red if it’s “poor.” Beneath this are dot graphs for each air quality factor, which use the same color-coding to visually depict when levels start moving into their danger zones. Tapping on any of these graphs will show you the optimum range for that particular metric. Your air quality score is color-coded to denote if it's good, fair, or poor. The Awair monitors for a general comfort level, but you can select different preferences in the app settings to tailor air-quality levels for allergies, sleep, productivity, or babies. The app doesn’t provide any insight into how monitoring changes for any of these conditions, but if one of them applies to you, it makes sense to choose that preset. On a separate tab, the app displays graphs for each metric on which it plots your hour-by-hour score for the currently selected day. It also shows each metric’s daily average. The app also provides “tips” on a dedicated tab for keeping your air quality healthy. As a useful resource, the advice is a mixed bag, ranging from factoids like “Elevated CO2 levels lead to increased indoor mold growth,” to links to more substantial blog posts, to ads for other air-quality devices. The Awair’s real-time monitoring was fairly accurate during my week or so of usage. Temperature and humidity readings were always within a couple of degrees/percentages of my indoor thermometer and hygrometer respectively. And CO2 readings generally rose whenever someone was cooking or the whole family was hanging out in the living room together, and reduced when I opened some windows to ventilate the house. In this last example, the app also pushed a notification to my phone each time the CO2 rose and fell (you can enable this feature for each individual air-quality factor within the app). Awair’s smart home integration adds an extra level of convenience. Instead of having to open the Awair app when I was out of visual range of the device, I could just tell Google Assistant “Ask Awair about my air quality” to get the overall score, or “Ask Awair for the temperature” to see if it was time to turn on the air conditioning. You can use similar commands with Amazon Alexa. There are a few IFTTT applets that enable Awair to trigger specific actions based on air-quality readings. The utility of some, like the option to blink your Philips Hue lightbulb when CO2 levels rise, is questionable. Others, such as logging rising dust levels in a Google spreadsheet might be handy if you’re trying to get to the bottom of an environmental problem. If you own a Nest thermostat, you can link the two devices so that the thermostat can control the temperature in that room or turn on your HVAC system's fan to circulate the air. You could also create your own applets if you own IFTTT-compatible smart appliances that you wanted to trigger. Whether you want insight into your indoor air quality for reasons of health or comfort, the Awair is a solid choice. Its accurate real-time readings deliver plenty of data to make necessary changes in your home or your habits. Out-of-the-box integration with more smart thermostats and other appliances that can impact air quality, however, would be welcome additions to its capabilities. If you don't own a smart thermostat, check out the Awair Glow, a less-expensive monitor that can activate a “dumb” appliance to respond to changing air-quality conditions.